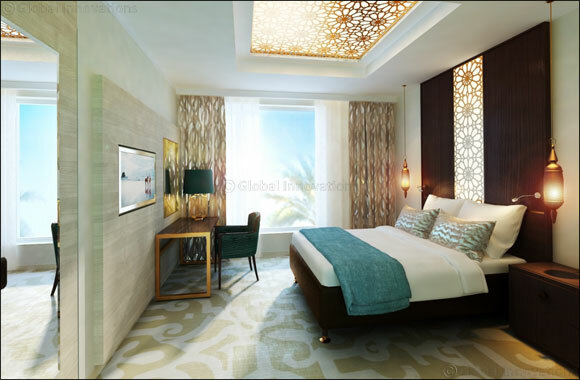 TIME Hotel Management is set to launch its first hotel in Qatar, TIME Rako, a four-star, 102 key property located in the Al Wakra district of Doha. Due to open its doors in Q2 2017, TIME Rako – which means relaxation or enjoyment in Japanese – features over 102 rooms and suites, in a first-of-its-kind four-star product for Qatar’s mid-range market. The hotel will recreate a serene, calming environment in contrast to the hustle and bustle of its city centre location. The opening is part of a huge expansion programme, with the company set to extend its footprint to Ajman and Fujairah in the UAE, followed by Saudi Arabia, before the end of Q4 2018. Time Rako Hotel is located 20 minutes from central Doha and only 15 minutes from Doha International Airport. Positioned to meet the requirements of business, leisure, MICE and family travellers, the property offers rooms and suites of various configurations, with three equipped for guests with special needs. The hotel offers guests a 24-hour fitness and leisure centre with a variety of spa treatments, and a 24-hour all-day dining restaurant with a capacity of 90 covers, where guests can select from deli, buffet and � la carte options. There is also a specialty seafood restaurant with outdoor terrace and open-style kitchen, a signature wood burning oven and a fresh fish display, with capacity for 84 covers and both indoor and outdoor seating options. On the rooftop is a lounge bar with a large outdoor terrace, seating over 106 guests. Doha has predominantly been a business destination, with the corporate and MICE segments accounting for more than 75% of hotel demand, a trend expected to continue in the short term. Tapping into this high demand segment, the hotel will also offer three multipurpose rooms suitable for a range of event types. The banqueting facility can cater for up to 500 guests. TIME Hotels and Resorts is the Corporate Social Responsibility partner at this year’s Arabian Travel Market, in Dubai World Trade Centre (April 24-17) and will also be exhibiting on stand HC1220.